The TRADE > Blog > A step in the unknown? A step in the unknown? This headline - which sits atop the editorial of the first issue of The TRADE Derivatives (back from the printers this week and hopefully on a desk near you soon) - reflects both the impact of derivatives reform on the buy-side and our own nerves ahead of a new launch. For 10 years, equities has been at the heart of The TRADE, but the scale of the changes in the derivatives markets is so vast that we felt a new title was the best way of serving our readers. 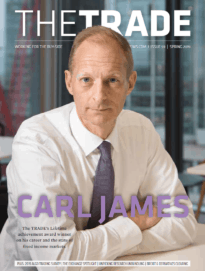 John Parry, founding editor of Futures & Options World, and contributor of an article on prime brokerage to the first issue of The TRADE Derivatives, regards the current raft of reforms as wreaking "the biggest change to derivatives market in 30 years". 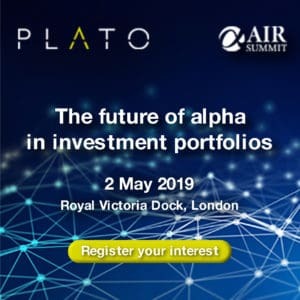 If so, we have set ourselves quite a challenge: The aim of The TRADE Derivatives is to help the buy-side - specifically those responsible for trading and investment operations at institutional investment firms and hedge funds - to understand how to trade derivatives in the evolving new landscape in the most cost-effective way possible. Initial feedback has been encouraging. "You've certainly been talking to all the right people," I was told earlier this week by one senior industry figure, who has agreed to contribute regular columns throughout 2013 on regulatory reform and risk management. Our first cover star, Xavier Hoche, COO, trading and securities finance, at AXA Investment Managers, is in no doubt as to the stiffest immediate challenge for the buy-side. "Extraterritoriality," he confirms. "As an asset manager, you need to know the exact nature of the regulations that you funds need to comply with." But perhaps the most intriguing prediction to be found in the launch issue of The TRADE Derivatives came from Francesco Cicero, head of e-trading at inter-dealer broker GFI Group. Commenting on the shifting role of brokers as margins tumble in the derivatives markets while costs rise, Cicero said: "The dealer-to-client and dealer-to-dealer markets won't collapse into each other entirely, but they will become much closer, creating a lot of opportunities." Cicero's wider point is that very little can be taken for granted and that all business models will need reassessing in the coming years - a step into the unknown indeed. In the coming weeks, we will post a number of articles from The TRADE Derivatives on theTRADEnews.com, but to keep on top of market developments, continue to subscribe to our new weekly derivatives newsletter.